Today’s interview is with Jonathan Rowe, Chief Marketing Officer at nCino, a cloud based bank operating system. Jonathan joins me today to talk to me about nCino, the experience of going through the recent Hurricane Florence, what happened, how their customers reacted and why he is so proud of their employees. 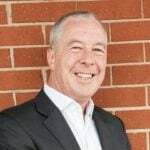 This interview follows on from my recent interview – Getting the human and tech balance right in customer experience – Interview with Julia Ahlfeldt – and is number 285 in the series of interviews with authors and business leaders that are doing great things, providing valuable insights, helping businesses innovate and delivering great service and experience to both their customers and their employees. nCino are listed as number 24 on Forbes’ Cloud 100 list. nCino are based in Wilmington, North Carolina, and have just gone through a massive hurricane (Florence) a few weeks ago. It was both one of the greatest tests and one of the proudest moments in nCino’s history. They had a business continuity plan in place to help them keep operating the company during the disaster. Given that Wilmington is situated on the coast, they had to face the triple whammy of hurricane strength wind and rain as well as flooding. The team at nCino coped admirably with the situation due to their culture of empowerment and were able to keep the business operating, communicating with and doing the right thing for customers as well as helping affected friends, neighbours and others in the local community. Because they know who needs to be evacuated in advance, their preparations included arrangements for the temporary re-location of employees families as well as arranging accommodation in pet-friendly hotels. 90% of nCino’s employees live in Wilmington and because their office is located in a safe area, is built very strongly and had a back up generator it became a place where not only did folks come to work but they also came to seek shelter, have a shower and grab some snacks. People do extraordinary things when they’re empowered. Their culture is built on simple core values that aren’t just words that you put on a wall or on your website. The hurricane was a truly great test of their culture and company. They heard of countless stories of situations when one employees house would be getting flooded and ruined and another employee would go out and rescue them and bring them back to their own house. We only really know how good our culture is when something extreme happens. Whilst they do have a business continuity plan, they actually create scenarios and train for them. That’s why their culture is so strong. They have disaster tests and training exercises twice a year, which include the ability by the disaster training coordinator to throw in some unexpected scenarios to see how the team cope and adapt. They believe they have come out of the hurricane stronger and their rallying call has become ‘nCino strong’. 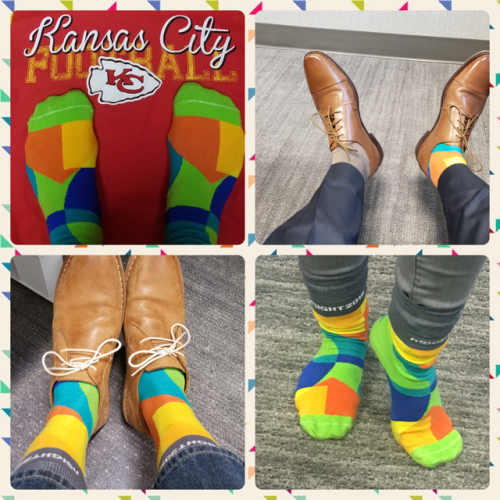 This is something that has been picked up on by their customers and they have shown their support to them by sending them a huge number of positive messages including a number where their customers have sent picture of themselves wearing their nCino socks (see main picture). With their employees and customers they raised over USD70k to support not only displaced employees but also members of their community. Extreme situations, whether natural disasters or not, are becoming more common-place so companies should be getting better prepared for those eventualities. That starts with having a framework of a business continuity plan that focuses on how do you continue to operate a business and how do you ensure the safety of your employees. Then, you must make sure you have the right communication tools in place and then you must practice responding to differing scenarios so that you create muscle memory for when things actually happen. Is your culture hurricane fit? 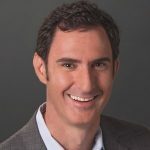 Jonathan Rowe oversees nCino’s research, communication, marketing, recruiting and business development activities, and helped build nCino’s global brand. He has presented at dozens of banking and technology conferences and published numerous articles and whitepapers. He teaches loan portfolio management at the Graduate School of Banking at Colorado, where he is an adjunct faculty member. Prior to joining nCino, Jonathan was a professor in the Cameron School of Business and director of the Entrepreneurship Center at the University of North Carolina Wilmington. He holds an MBA from Babson College and a Ph.D. from the University of Auckland. Check out nCino, say Hi to them on Twitter @ncino and feel free to connect with Jonathan on LinkedIn here.